Lulus Lovlies: "RUBBER DUCKY CUPCAKES" BABY SHOWER "QUACKY, QUACKY CUTE! 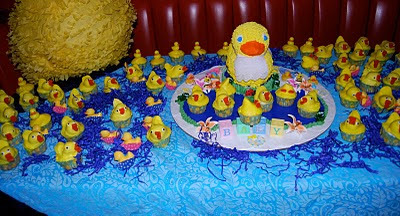 "RUBBER DUCKY CUPCAKES" BABY SHOWER "QUACKY, QUACKY CUTE! 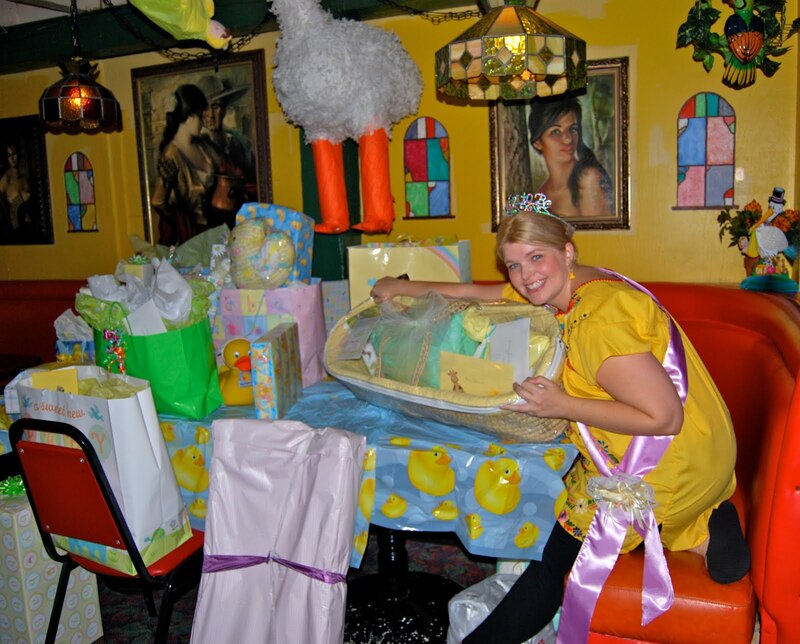 Here are a few pic's from the baby shower I attended on Sunday, the Mom to be is expecting her "First" baby and she is the daughter of dear friends of mine. Mommy-to-be is also the one I made the quilt for and showed pic's of, prior to completion. 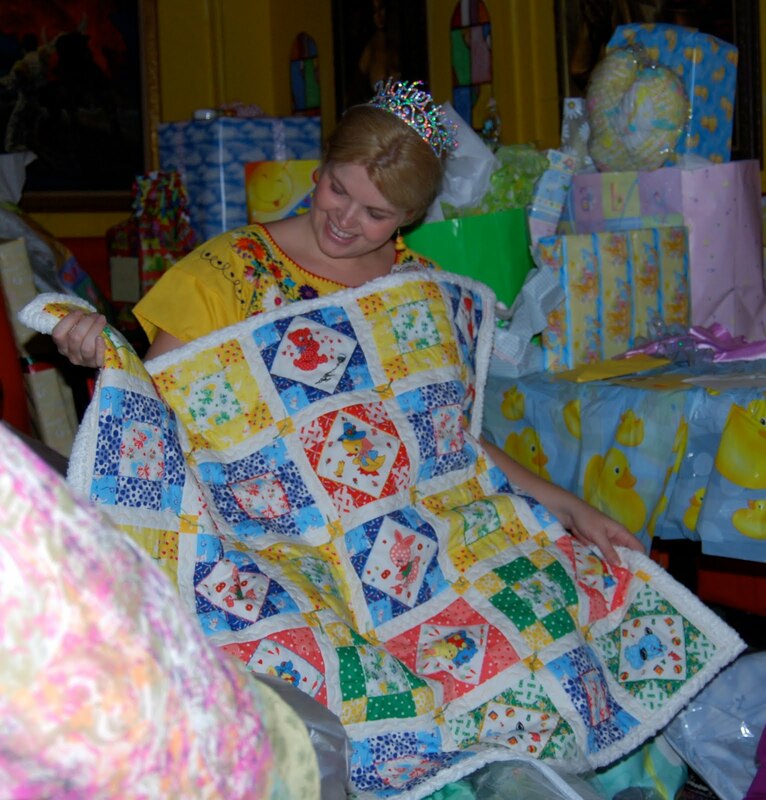 She was sure surprised to say the least and it was a great time had by all. 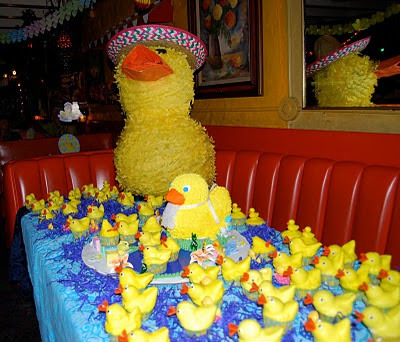 I had to post the pic's of the table as the new Grandparents to be made all these little duck cupcakes with a matching large cake to match. The beaks were actually orange gum drops split and opened into beaks. They were so cute and clever I had to share. Too Quacky Cute!! Oh, this is just the cutest idea ever! I love all the little duckies filling the table, what a fun and inspiring party.